A few months ago, I was asked to join a fantastic group of knitters as part of their tech editing team. Now that the new issue has gone live, I can share my excitement at being part of the team at Knitty! I am thrilled to join Kate and Ashley as part of the Knitty TE group, and was even happier to have patterns from two of my pre-existing clients in my first round of edits! Small world, isn't it? Congratulations to Renée and Ela, and go check out the new edition of Knitty! It's always fun to see patterns that I've tech edited released into the wild. The most recent of these is The Klee Collection by Renée Callahan of East London Knit. 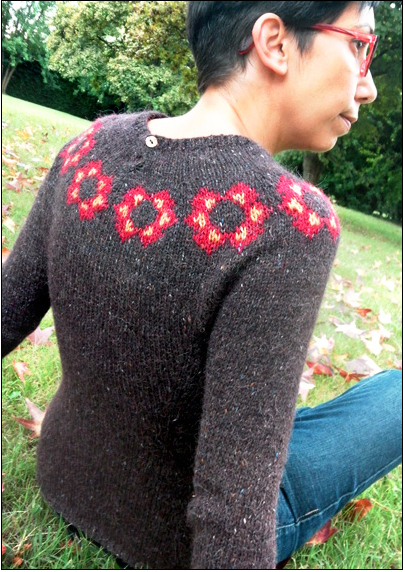 I tech edited two of the patterns in the collection - the Angelus Novus cardigan and the Twilight Flowers pullover. In addition to the three sweaters in the collection, there are three accessories, each picking up on a motif from one of the sweaters. I am particularly enamoured of the Twilight Flowers Mitts, which uses the same eyelet pattern from the pullover to form a panel down the back of the hand. So gorgeous. Many, many congratulations to Renée for a fantastic collection - I'm going to dig up some yarn and cast on ASAP!